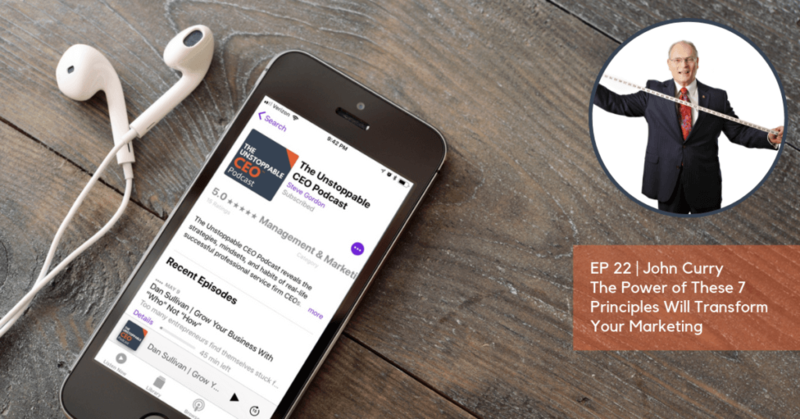 My buddy and client John Curry “hijacked” one of our recent Roundtable calls for subscribers to The Unstoppable CEO Confidential, and put ME on the hotseat. Inside I share the 7 principles that guide all of our marketing and every piece of marketing we help our clients build. Listen to this and you’ll have a “checklist” for every marketing and sales effort in your business. 00:11 This week’s episode is with Steve and his friend John Curry discussing the 7 principles of Marketing and Sales just after a conference call Steve just had with his clients. 02:48 John asks Steve to walk through the newsletter starting with the title “Why do we make it so complicated”. 05:10 Steve talks about how mindset is so important in gaining new clients. 49:25 Steve explains the Growth Mindset Scorecard.